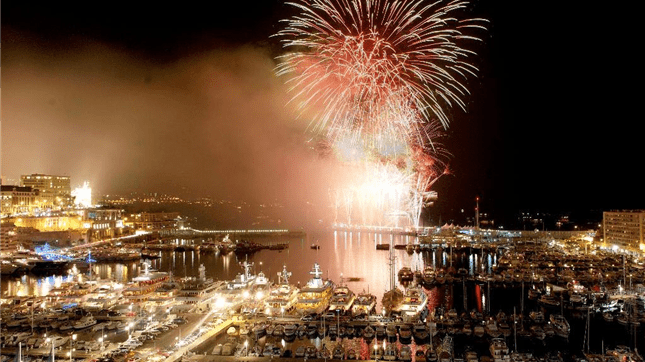 New Year’s Eve celebrations and fireworks for all at Port Hercule, courtesy of Monaco City Hall on Monday 31 December 2018, at 9.30 pm Port of Monaco. To celebrate the arrival of 2019, Monaco City Hall will be organising a grand evening of music and festivities on Monday 31 December from 9 pm and until 3 am, in addition to the various activities held by traders at the Christmas Village (with numerous chalets selling decorative items, jewellery, gadgets, etc. and many food stalls). The evening’s musical entertainment will be provided by 2 DJs – Patrick Lemont (accompanied by two dancers) and Manu Silvestri (accompanied by a DJ and saxophonist) – from the heart of the Christmas Village on Quai Albert 1er. The New Year will be ushered in at midnight with a fireworks display.